Setting up of the feature is straightforward given that it is enabled by default. 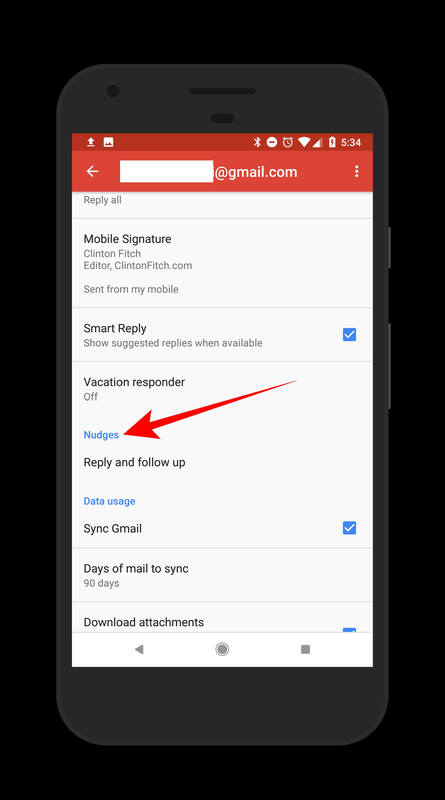 However, if you want to change or disable the behavior, open up Gmail and go to the Settings menu. Then select your Gmail account and scroll down to the nudges section. 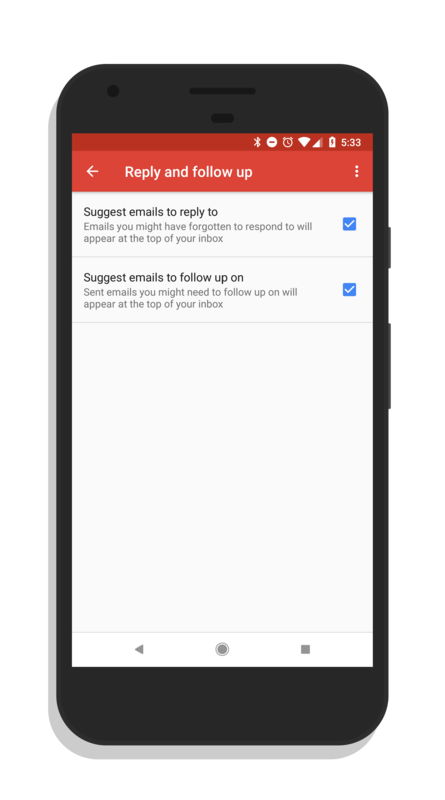 Tapping on this link will take you to the actual settings for Nudges where you can enable or disable suggestions for replies and follow ups in your Gmail inbox. The feature will only work with Gmail and G Suite accounts.